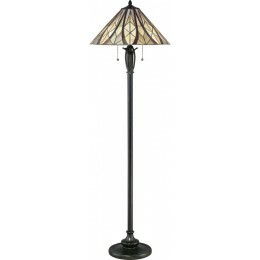 Classy and understated...is the Victory Tiffany floor lamp. The base is finished in valiant bronze and the 192 pieces of Tiffany glass are arranged in crisscrossing long swoops in varying hues of yellow and red. 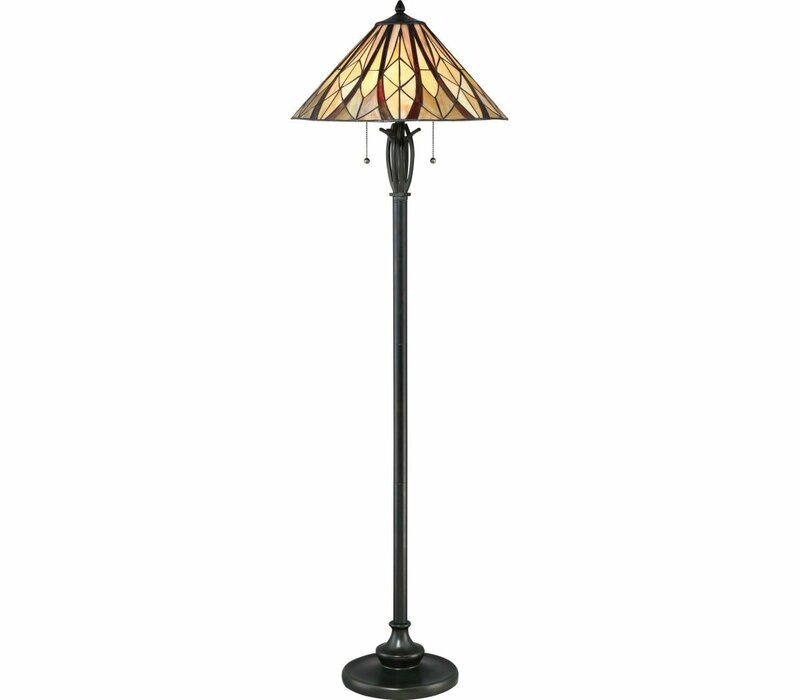 The Quoizel TFVY9359VA Victory collection Floor Lamps in Valiant Bronze use Fluorescent light output and bring Tiffany style. This item is 59"H x 18"W x 18"L. The wattage is 100. The Quoizel Lighting TFVY9359VA requires 2 bulbs (not included). Additional Information: Shade-Tiffany Shade; Control-On / Off Switch.